Today, let's look at another discarded action figure concept for the original Playmates 80s/90s TMNT toyline. In this case, it's a guy named Junk Man. 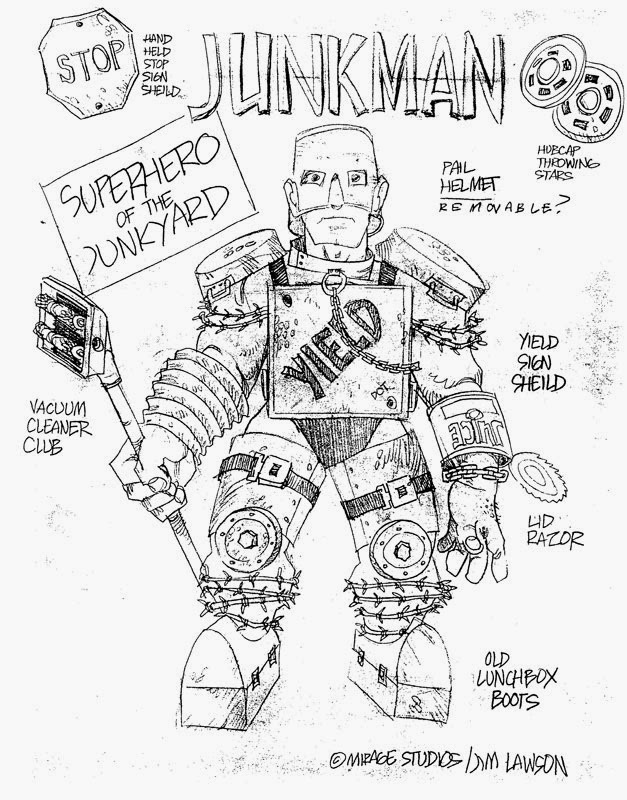 Junk Man actually began life as a comic book character created by Michael Dooney in 1989. 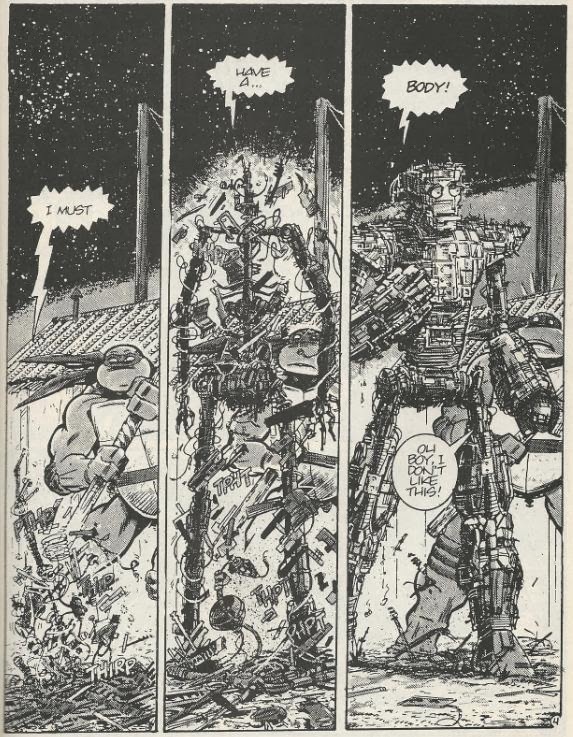 He made his first (and only) appearance in the short strip "Junk Man" published in the Shell Shock anthology. In 1990, Dooney pitched the character to Playmates as a potential action figure, adapting his comic book design more or less precisely. Personally, I like the addition of his little buddy, K-9 the Junkyard Dog. 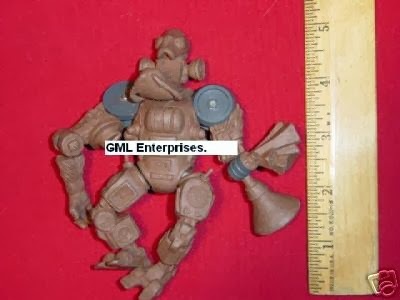 Those small, unpainted "partner" toys were one of the coolest things about the classic Playmates TMNT toyline and they made for a more imaginative accessory than any generic weapon. That same year, Jim Lawson also pitched his own rendition of Junk Man to Playmates. This version deviates considerably from Dooney's incarnation, who was in an alien made of pure energy that possessed spare parts at a junkyard, instead being a guy dressed in crudely fashioned scrap metal armor and calling himself the "Superhero of the Junkyard". This human version of Junk Man didn't seem to catch on. A third and final pitch (artist uncredited; possibly Steve Lavigne or Ryan Brown) was sent to Playmates, this time whittling Junk Man's spare parts down to just leftover stereo and boombox paraphernalia. Well, third time's the charm. Playmates seemed to dig this incarnation of Junk Man and even went so far as to create a toy sculpt. 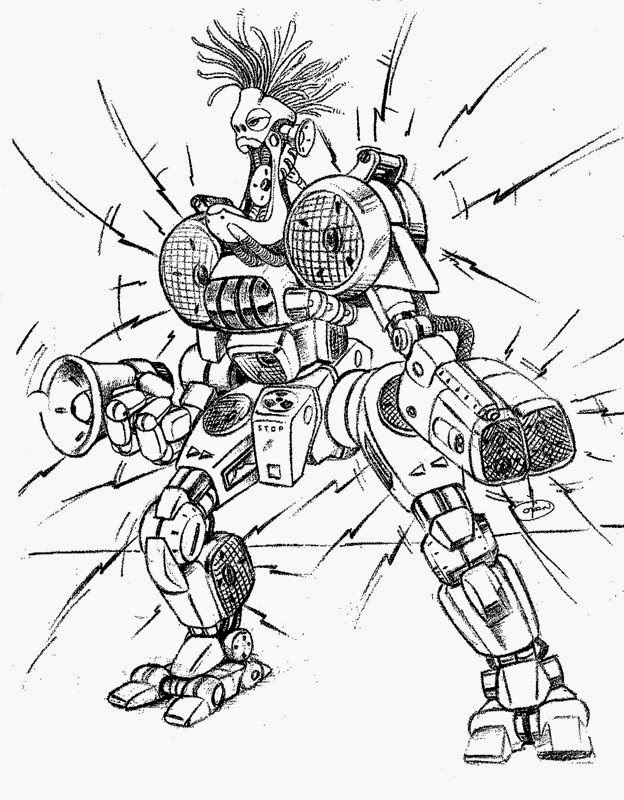 The toy, despite receiving a sculpt, never made it to production. If you've seen this guy before (he haunted eBay for years), he's often identified as "Radio Boy" (Stephen at The Turtle Van blog talks all about him). 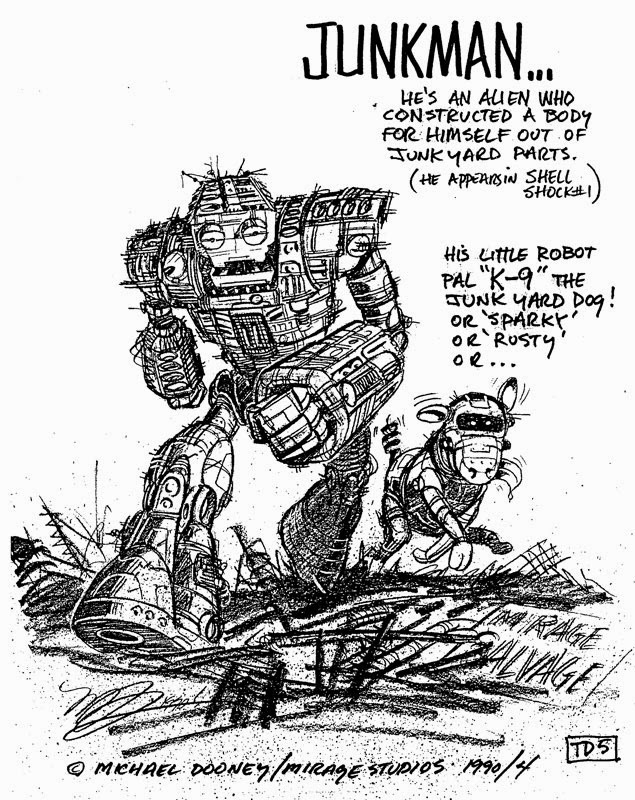 According to Brown and Lavigne, though, the name "Radio Boy" doesn't appear on any of their paperwork and he was always intended to be an incarnation of Junk Man. 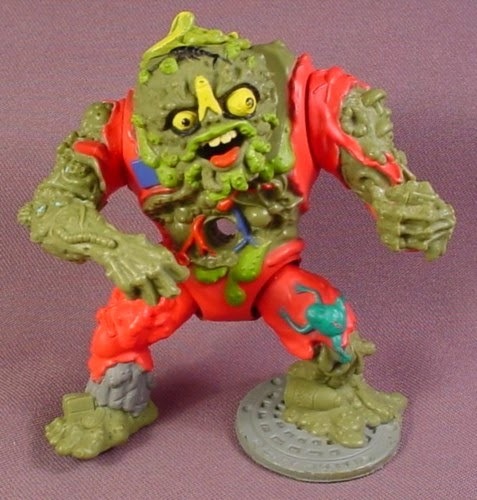 Muckman was released in the 1990 assortment of the TMNT toyline, meaning he was already on the shelves while Dooney and co. were still trying to pitch the "original" concept of a character assembled entirely from garbage. Yes, I know there's a distinction between a junkyard (where Junk Man comes from) and a dump (where Muckman comes from), but it probably wasn't unique enough to warrant another go around with the concept (which may explain why Playmates moved away from the "random junk" idea toward the "stereo parts" idea near the end). Anyhow, I love taking a look at the evolution of these Playmates toy characters; those who made it to the endzone and those who got tackled at the 1 yard line. It might give you an idea of how close we probably got to getting a lot of characters in toy form, only for fate to prove unkind. Because god damnit, space had to be left over on the shelves for Donnie dressed as a punk rocker and Raphael as an astronaut.